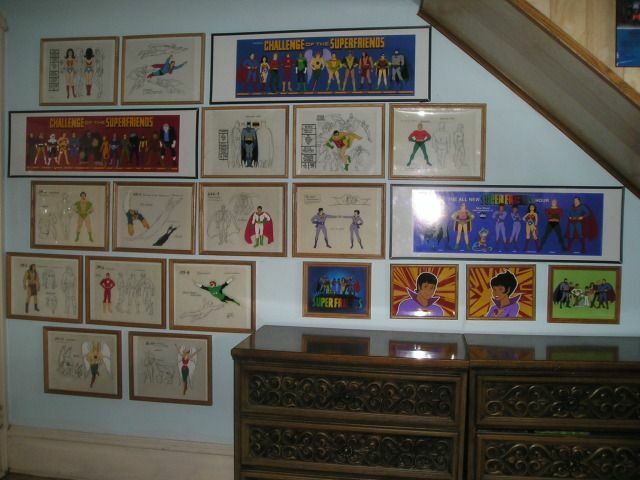 I just expanded my Super Friends collection by three more items. On the image it says "Ebay" as a watermark, that's not on the items I'm buying. 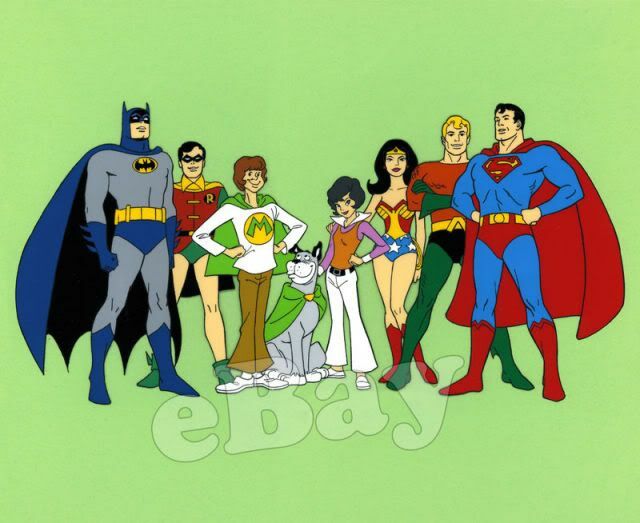 The Super Friends was a cartoon that debuted in 1973 featuring Superman, Wonder Woman, Batman & Robin, Aquaman, and their "super heros in training", Marvin, Wendy & Wonderdog. Each Saturday morning, the Super Friends battled various villians. In 1976, the show changed to "The All New Super Friends". 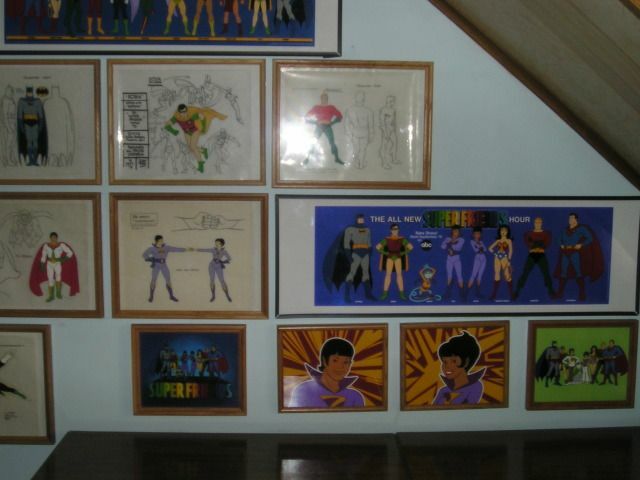 Same basic line-up, however, the original "Jr. Super Friends" were gone, and replaced with The Wonder Twins; Zan, Jayna & Gleek. The twins were a brother and sister from the planet "Exor" who were shape-shifters, Zan could become any form of water, and Jayna any animal. However, they had to touch their fists together to "activate" their powers, and then come into contact again to "deactivate" them and resume their human forms. The last item I'm bidding on is this image of The Legion Of Doom. This was a group of villians who joined together to take over the world, and first appeared in 1978 when the series became "Challenge Of The Super Friends." As one might imagine from my blog, I've started collecting things related to the Lone Ranger, both the 1981 movie, The Legend of the Lone Ranger, and other items. I've obtained a couple of books connected with the movie, and also a kit that you could get as a premium from Cheerios. (The kit arrived from its seller still sealed in its original envelope from General Mills; I'm afraid to open it for fear of damaging its value as a collectable, so I really don't know if it includes everything that it's supposed to contain!). I'm also now the proud owner of LR and Tonto action figures (two different sets of both ). I've also got a Silver for TLR and I'm currently "watching" a couple of eBay offerings of Scout, Tonto's horse. I also picked up circa 1980 paperback issues of three LR novels by Fran Striker, the creator of the character, that were originally published, I believe, in the late 1930s. The latest item to arrive is a DVD of LR cartoons from 1981-1982. (So, yeah, here I am, a middle-aged man who sat at home on a Saturday night watching cartoons! ) Interesting thing about these cartoons is that the writers apparently tried to ground the plots in "reality," both in terms of characters and geography. For example, the first episode involves a runaway train traveling between Grand Junction, Colorado, and Denver. Another episode involves the newspaper reporter Nellie Bly, who was a real person. Plus, apparently each episode ends with a mini history lesson related to the plot and delivered by TLR, who is voiced by the actor William Conrad, so there was an effort made to include some educational value as well. 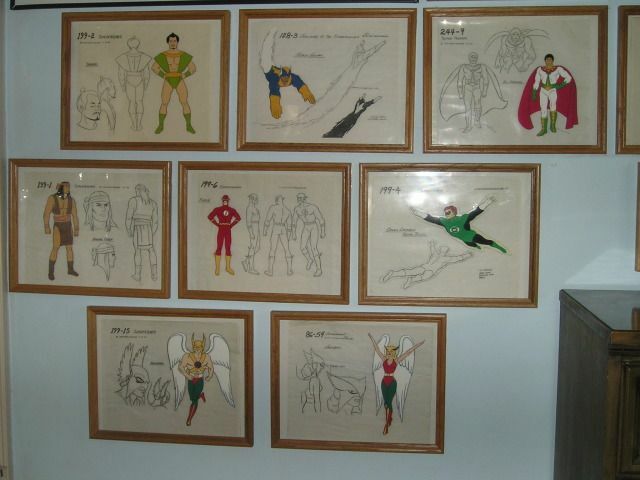 Samuari, Black Vulcan, El Dorado, Apache Cheif, Flash, Green Lantern, Hawkman & Hawkgirl. 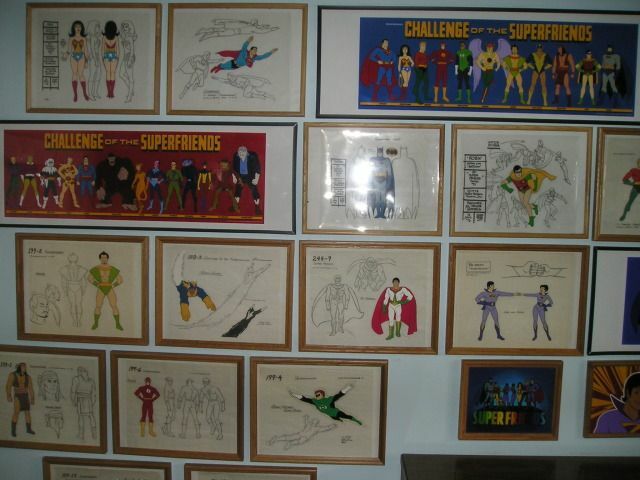 Wonder Woman, Superman, "Challenge" line up of heros, "Challenge" line of of Legion of Doom, Batman, Robin, Samuari, Black Vulcan, El Dorado, Wonder Twins, Apache Cheif, Flash, Green Lantern. DVD Collection. Super Friends season 1 (with Wendy, Marvin & Wonderdog), All New Super Friends, Challenge of the Super Friends, Super Friends (lost episodes), Legendary Super Powers Show, & Galactic Guardians. 3 seasons have yet to be released. 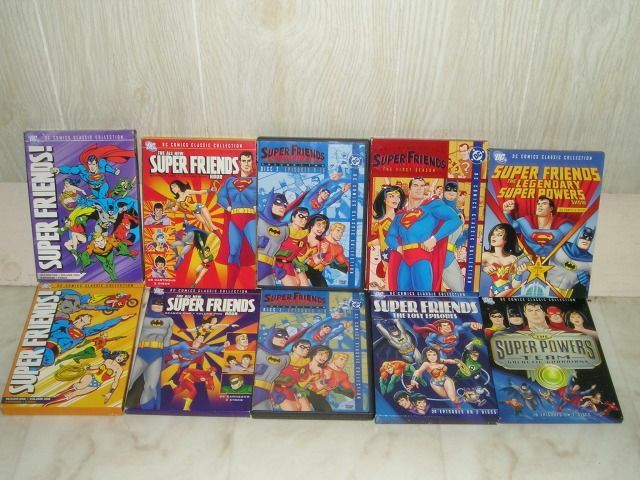 Super Friends (1980), Super Friends (1981) and World's Greatest Super Friends. Great collection! I also collect comics, but nothing rare or expensive. Actually, I'm a collector by nature and collect so many things. I've always collected gold bracelets, but now I'm collecting 14k bangle bracelets: I think they're the most classy, authentic things you can wear on your wrists. I'm sporting an arm full of them, and sadly, I'm still paying for them. I'm also looking out for a new gold bangle to add to my collection.